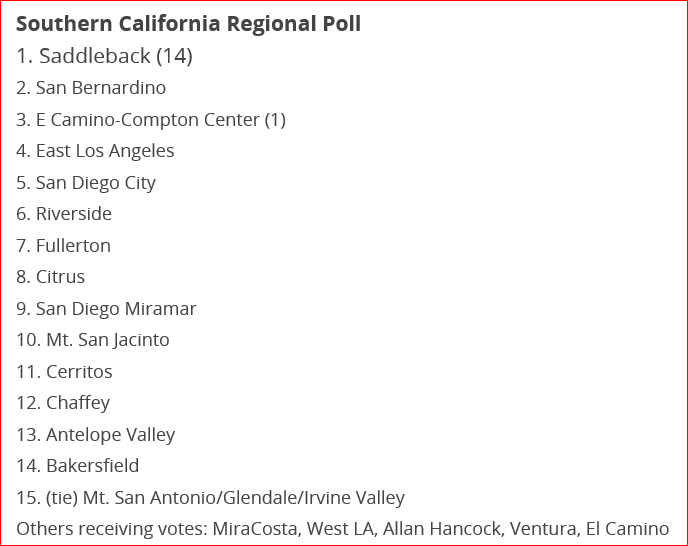 Its been five weeks(12 December 2016) since the JUCO Coaches were asked to vote on their top basketball picks in So Cal. Since that time a lot of basketball games have been played. The two ranked teams who will be playing tonight; #11 Cerritos and AVC #13 have had a good five weeks. #13 AVC (6-1)(12-6) Chabot Tournament 3rd place; MiraCosta Tournament Champion. Tomorrow’s game at Antelope Valley against Cerritos College is a perfect example of why I love JUCO basketball. Two ranked teams(don’t know the rankings as its been 5 weeks since they were posted by the JUCO Coaches…a life time in JUCO ball) these are well matched teams. How well matched? AVC and Cerritos played 6 games against the same teams; Rio Hondo, MiraCosta, COC,, OCC, Ventura, Pierce. AVC lost and won against Ventura and Cerritos won 8 point. AVC and Cerritos both beat the other teams. Very balanced. The stats below are from the CCCAA website. Best shooting team in state(great shot selection) and nearly worst shooting free throws in state?(concentration)??? Crazy. 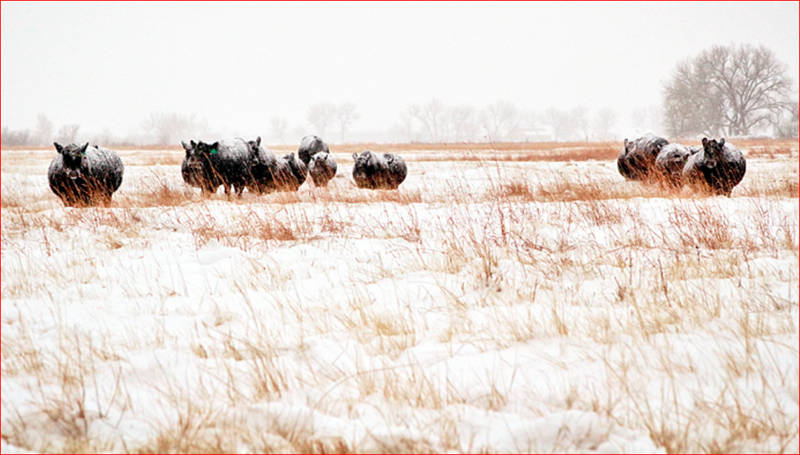 I follow a great professional photographer on her blog who lives in Wyoming on her ranch. All though I love all of her photo’s, her winter shots brings me back to my first 21 years in Minnesota. These are big tough pregnant angus cows who live all their lives in the brutal weather successfully with a little help from their owners. The AVC basketball team have experienced one of the coldest winters here and I even came down with a virus. 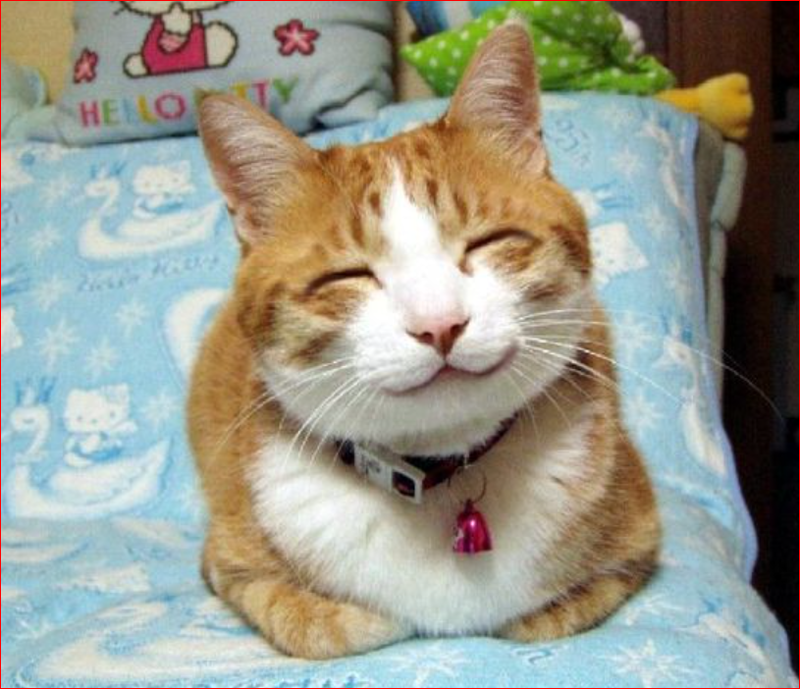 Had my flu shot, my pneumonia shots and yet I have been sick a week. Its just not fair! 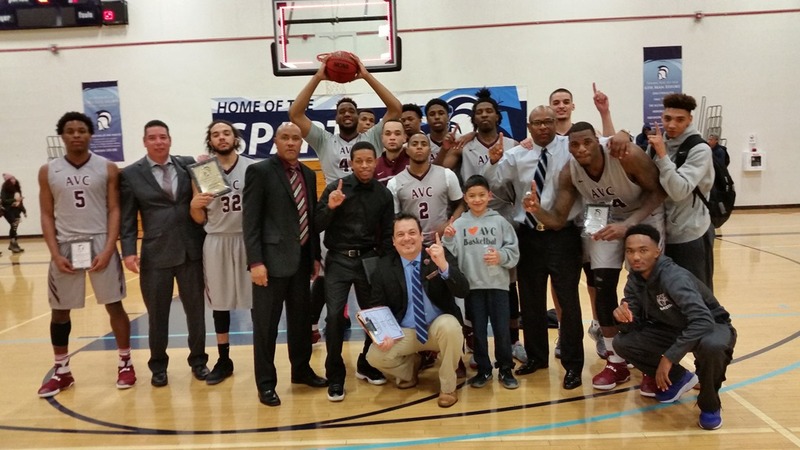 On the other hand, the Antelope Valley College Basketball team’s has caught a virus too. Their,s is a therapeutic “virus”. In the last 14 games they are a healthy 12-2. The rotations are setup. The guys know their roles, Without looking they know where their teammates are on the floor and their defenses are improving daily. If AVC’s offense is clicking, you will see team scoring like below with nearly five players average scoring in double figures. Spreading the wealth. It looks to me that AVC is poised to make an impressive run into the last third of the season. We now know that AVC can play defense for a half of a game. When they decided to play shut down defense in the second half of the basketball game, AVC shut down a red hot home team to 2-14 for 3-point and 21% over all. There defensive prowess led them to out score MiraCosta 40-23 in the second half. Five AVC players scored in double figures; Cory Dollarhide=16, Dee Jones=14, Antone Ace Warren 13, Jailen Gill=11 and 13 rebounds, Osinachi Nwachukwu=11. I must mention PG Charles Hall who only scored eight points but, all eight points were from the free throw line…8-8. Absolutely key points in win. The championship game tomorrow, 4 p.m.- against Bakersfield, is the kind of games that top teams use their defense to win. OCEANSIDE – The Marauder men’s basketball team trailed at halftime, again, but outscored host Mira Costa College, 40-23, in the second half en route to a 78-69 victory, Wednesday night at Mira Costa College. Cory Dollarhide led AVC (11-6) with 16 points in only 22 minutes and was one of five different Marauder players in double figures. "We’re starting to turn the corner, but we have to get better at our shot selection and discipline. We turned the ball over nine time in the first half and we’re down eight, but in the second half we played much better defense," AVC head coach John Taylor said. "We have to sustain that for 40 minutes, not just at times. We’re focused on trying on trying to get this championship tomorrow. They’re a good team, but I think our depth will help us." The Marauders will face a familiar foe in Bakersfield College in the championship game on Thursday afternoon. The Renegades (13-7) defeated No. 8 ranked San Diego City College on its way to the championship. AVC’s defense held the Spartans to only 2-of-14 from 3-point range in the second half and only 21 percent shooting. 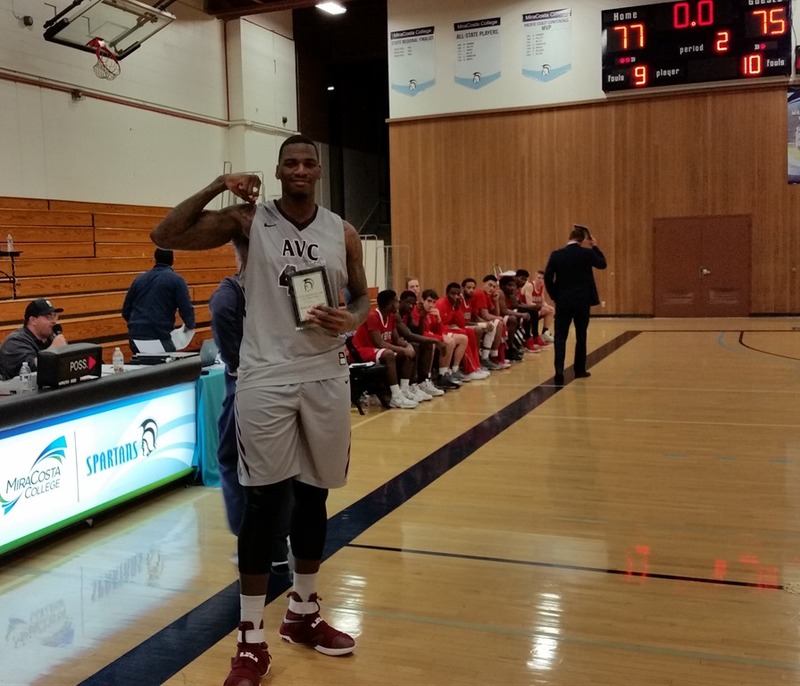 OCEANSIDE -The Antelope Valley College men’s basketball team has a chance to play for its first tournament title of the season after defeating MiraCosta 46-38 in the MiraCosta Tournament semifinals on Wednesday. It’s the second tournament championship game of the season for the Marauders (11-6), who lost in their own tourney final in December. AVC was down 46-38 at halftime, but came back strong to outscore MiraCosta 40-23 in the second half. "We shut down their 3-point shooting," AVC coach John Taylor said. "We started getting the ball inside, using our size. … Just much better defense overall." Cory Dollarhide led the Marauders with 16 points and Jailen Gill had a double-double with 11 points and 13 rebounds and added five assists. AVC’s Osi Nwachukwu picked up 11 points with six rebounds, Antone Warren added 13 points and D’Mauria Jones scored 15 points off the bench. The Marauders will play Bakersfield College in the championship game today at 4 p.m.
AVC didn’t play play great defense most of their game against LA Pierce last evening. Leading at half time by 40-36, AVC was shocked by LA Pierce’s red hot shooting at the start of the second half…Pierce hit four 3-balls and three deuces in a row in four minutes. Due to weak defense, AVC was looking out of a nine point hole with ten minutes left in the game. Add to early defensive weakness, AVC had 19 turnovers. AVC started to scratch and claw on both ends of the court and with two minutes left, AV tied the game. AVC had great shot selection through out the game, 57.4% overall shooting, 55.6% three point shooting, and 77.8% from the free throw line. Add to that, AVC out rebounded Pierce by 10. AVC as usual spread their scoring around with Dee Jones, 17 points and great defense. Double-Double Ace Warren 16-10, Jailen Gill, 14-9 and 4 assists. Christian Solis 12 points(4-7 from beyond the arc). Charles Hall handed out 10 assists. AVC is taking on the tournament home team MiraCosta at 6 p.m. today. With a 7-1 record in the last games and home court advantage, AVC is going to have to turn up their defense and keep their offense rolling to have a chance to win this game. 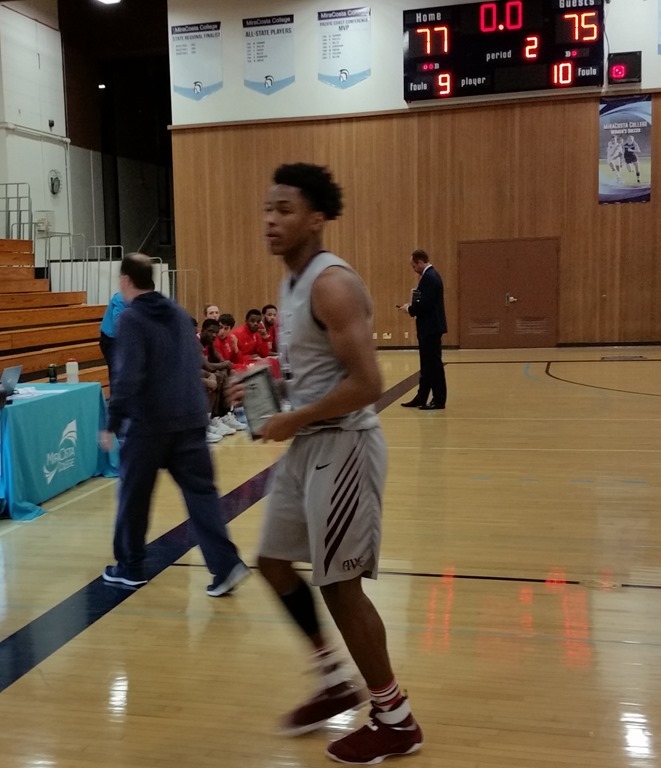 OCEANSIDE -The Antelope Valley College men’s basketball team defeated L.A. Pierce 79-75 in the first round of the MiraCosta Tournament on Tuesday. "We’re just happy to be in the right side of the bracket," AVC coach John Taylor said. The Marauders (10-6) led by six points at halftime, but Pierce came back to take the lead in the second half. The Marauders battled, got a few key stops and hit some baskets down the stretch to get the lead back. They also outrebounded Pierce by 10. Taylor said turnovers helped keep Pierce in the game. "We turned the ball over 19 times and I think that’s what kept the game close," he said. Antone Warren led the Marauders with a double-double, scoring 16 points with 10 rebounds, while Jailen Gill just missed a double-double with 14 points and nine rebounds and Charles Hall scored six points with 10 assists. D’Mauria Jones recorded 17 points and four rebounds off the bench for AVC, while Chris Solis went 4-for-7 from the 3-point line to score 12 points off the bench. The Marauders will play the host team MiraCosta in the semifinals today at 6 p.m.